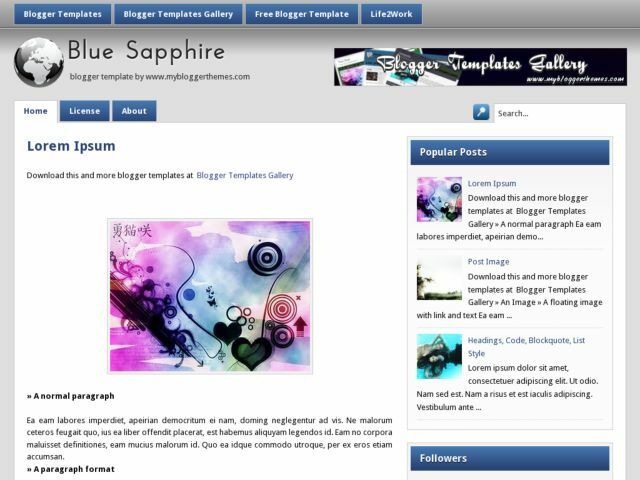 BlueSapphire Blogger Template is a blogger template with great design, using two columns and a sidebar that is located on the right side. Looks elegant with a blue horizontal menu and the page list horizontal menu automatically appear if there is a page created. In the footer, there are 4 columns with a dark gray background can add a lot of places to put a widget or link. BlueSapphire suitable for all types of blogs.